World economy is shaky, and one never knows what will happen next. Many Americans still cannot forget how their retirement funds and savings vanished into nothingness, and investors will always retain bitter memories of stock markets plummeting. Thousands of people lost their jobs as companies turned bankrupt and entire families, institutions, and governments worldwide struggled to keep financially afloat during the economic recession. Families, therefore, should be financially aware and invest some time daily in getting financial advice from a wide range of resources. 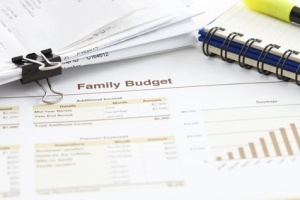 Creating family budgets is now more important than ever if you want to keep your family out of financial disaster. When making a family financial plan, you should ensure that your plan is long-term, ensuring that you and your loved ones will be protected in case of death, unemployment, illness, or any other change that will have a huge impact on the entire family. A good financial advisor or financial planning company can help you create an excellent long-term financial plan. You should also consider the idea of building family wealth, and if you want to build family wealth effectively, you should know a lot about investment, tax planning, insurance, and so on. A good financial advice resource — there are several available online — will definitely help you learn all that you need to know about wealth building. Your grandchildren and great grandchildren will greatly appreciate it if you consider the idea of passing family wealth safely from generation to generation. Your family financial plan, therefore, should help you create wealth, save it, build it, retain it legally, and pass it to the next generation. Effective family budgeting is possible only if each and every member of the family, children included, becomes financially aware. Families should create their budgets together, taking into consideration all family expenses such as medicine, food, education, entertainment, credit card debts, loans, investments, taxes, and others. When you and your family know how much you spend, you can easily create your budget. Your next step is to make a list of all sources of income, which includes salaries brought in by each family member, interest on loans given out by any family member, interest accrued on investments, and so on. When you create a family budget, you do not have to cut costs drastically and live like hermits. The idea is to get the maximum enjoyment from your money while taking care to see that your expenditure does not exceed your income. Simultaneously, you should set aside some money for a rainy day and invest it wisely. Credit cards can break up entire families; but smart families can use credit cards to their advantage. One of the most exciting ways to keep credit card purchases to the minimum is to make shopping a family event and shop with one card. Use a credit card with low interest rates, great reward schemes, excellent discount offers, and no annual fees; and pay your dues on time.